1 IT Tech for 2,300 Classrooms – MILLIONS of Prop Z/S IT Investment Dollars at Risk Through Severe Layoffs in San Diego Unified Technology Support!!! SDUSD EMPLOYEE NEWS ALERT: Supt. 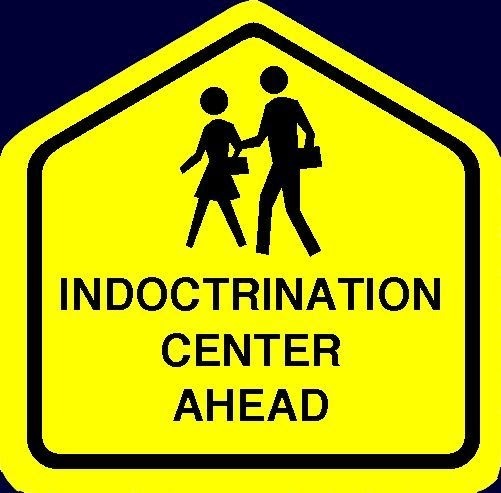 Cindy Marten Secretly Initiates “Aspiring Principal” Indoctrination Institute WITHOUT Board Approval – Are YOU One of the Chosen? While most of the attention in public schools are on students that miss too much class, according to the Fordham survey, there’s also a growing crisis among no-show teachers. Nationally, they reported, 28 percent of teachers in traditional public schools can be labeled ‘chronically absent,’ meaning that they miss more than 10 school days a year because of sickness or personal leave. Among charter school teachers, the figure is close to 10 percent. These rates compare unfavorably to the rest of the American work force, where 7.7 percent of employees with access to paid sick leave take 10 or more days, according a report from the National Center for Health Statistics covering 2005 to 2013. “In other words, the percentage of teachers in traditional public schools who take more than ten sick and personal days is almost four times higher than the percentage of employees in other industries who take at least ten sick days-despite the fact that teachers have significantly fewer work days than employees in other industries,” Fordham said. Checking though the list, chronic Teacher Absences range form a low of 4.2% to an astoundingly high 45%!!! A key recommendation from the report is that policy makers need to look closely at the stress and demands modern education requires of the teaching work force. Unfortunately inexperienced senior level operational management by Supt. Marten and her inner circle cronies is making the working conditions for Teachers much worse. We can only wonder how much higher Teacher illnesses will rise due to filthy classrooms created by the reduction of custodial support and increased workload due to many other support positions being eliminated by Supt. Martens’ $124 million budget deficit disaster. And we can only worry about how negative the lack of those valuable teachers in the classroom directly has on student learning and achievement. 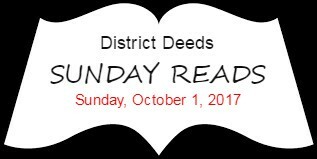 We have heard similar stories from our readers in many of the communities that make up SDUSD Cluster districts. The article mentions the extra supports provided in Oakland and Los Angeles but all we year in the SDUSD is empty promises through Board of Education resolutions for safety that they can’t possibly deliver, phony events like the “Celebration of Light” and the elimination of English Language Support Teachers. We are sure that there are many SDUSD teachers, counselors and staff that add comfort and support to those students affected. Too bad they have senior leadership that prefers propaganda photo ops over real action to help families impacted by this crackdown. The San Ysidro School District became a local victim of malware attacks that have hit school districts from Maryland to Montana this year. The cyber attack, known as ransomware, demanded roughly $19,000 in Bitcoin over the weekend of Sept. 16. We read this article and, from the information we received from our SDUSD sources, we were scared stiff for all the Teachers and Students in i21 Classrooms. As we posted earlier this week in “1 IT Tech for 2,300 Classrooms – MILLIONS of Prop Z/S IT Investment Dollars at Risk Through Severe Layoffs in San Diego Unified Technology Support!! !”, The SDUSD Technology Supprt has been decimated by layoffs caused by the Marten Budget Disaster. Those cuts were at every level of support, How long would it take for the reduced IT staff to recognize and deflect, let alone repair damage inflicted by these malware attacks if they occur? In our opinion and the opinion of key SDUSD contacts, too long..and probably too late! Inexperience makes Marten deaf AND blind to the risk. Unfortunately for all Students, Marten will just not listen to the warnings from her SDUSD experts despite the evidence provided to her about the technical risks of the layoffs. That same blindness to risk in Marten that caused the $124 deficit in the first place puts the SDUSD at risk for another huge deficit this year. “None so deaf as those that will not hear. None so blind as those that will not see.